Graeden was first introduced to Nantucket in 1994. Born and raised on Lake Minnetonka, Minnesota, Graeden attended Lake Forest College in Illinois where he studied art and earned a degree in economics. While living in Aspen, Co. he met his wife Lauren. They moved to Nantucket in 2000 to purchase a home and start a family; they are now the proud parents of Ozzy (’04) and India (’06). Over the years Graeden has been behind the bar and managed many of Nantucket’s finest restaurants. Graeden was the first head coach appointed to the Nantucket High School Whaler Ice Hockey team, was a board member for Nantucket Ice, and has been involved with numerous fundraising events for many causes over the years. 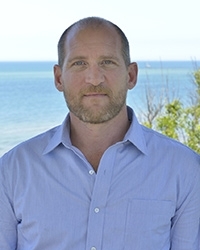 Graeden brought his passion and knowledge of the island along with his enthusiastic approach to real estate to the Maury People ~ Sotheby’s International in 2007. He prides himself on establishing genuine relationships with his clients and fulfilling their Nantucket aspirations.